English Discoveries Online-Mobile (EDO-M) now brings on-demand English practice to your smartphone or tablet. 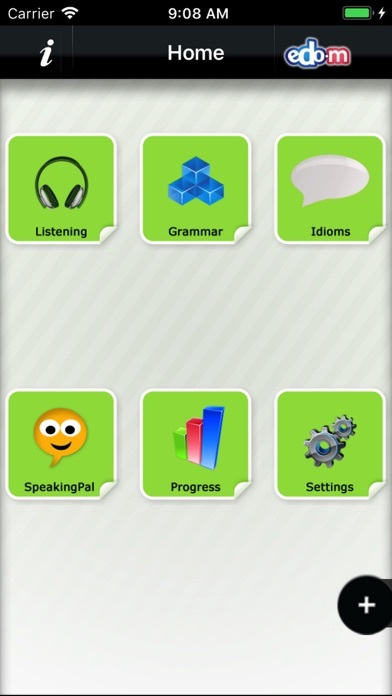 The EDO-M app offers interactive skill-building videos, animations and audio content for learners at all levels to improve their listening, speaking and grammar skills and to enrich their use of idioms. Providing increased pedagogical value to the EDO blended-learning solution, EDO-M integrates with the EDO learning objectives, communicative approach and assessment criteria via the comprehensive Teacher Management System. 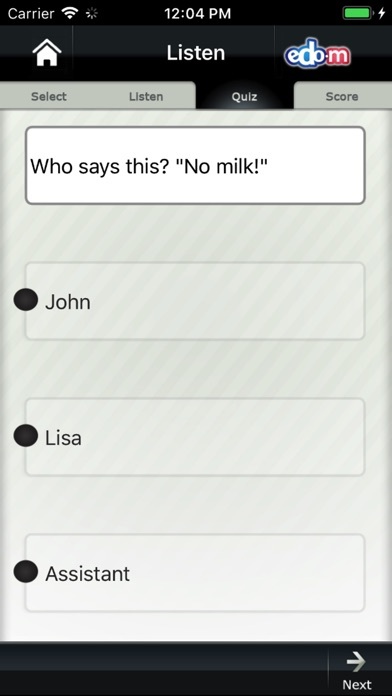 EDO-M offers the latest in speech-recognition technology, interactive quizzes and instant personal progress feedback. Learners can actively participate in dynamic, real-life language scenarios which bring language theory to life, making learning more meaningful and effective. Weitere Apps von SpeakingPal Ltd.